FREE Tool: NTFS Permissions Reporter – What are the NTFS permissions? 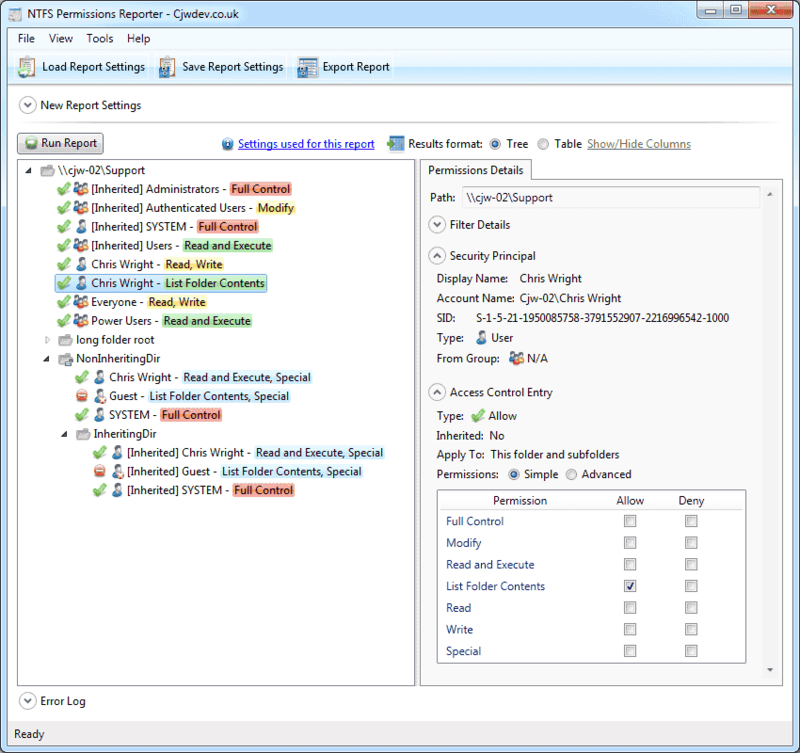 NTFS Permissions Reporter is a new tool from Cjwdev, with a completely free edition available for anyone to download and use without any registration or time limits imposed. It makes auditing and reviewing permissions on your file system quick and easy. you can simply right click on any directory in Windows Explorer and choose Report Permissions to launch the program and instantly see how permissions are assigned to that directory and all of its sub directories. The report results can be viewed in either tree format (which mimics the explorer style view of directories that we are all used to) or in a sortable table format. Different levels of permissions are highlighted in different colours to make it easy to see at a glance what level of access a particular user or group has to a directory.